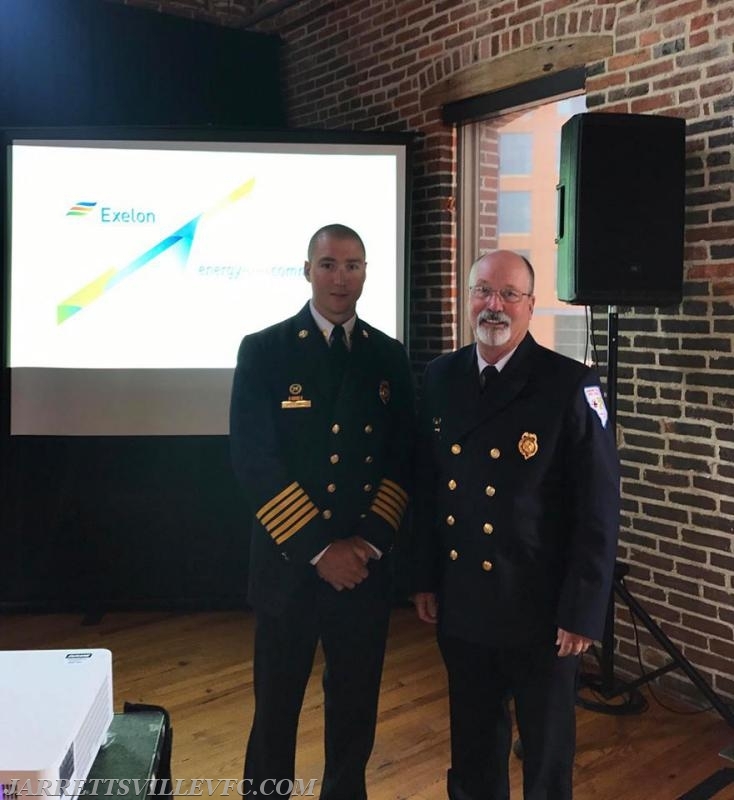 Earlier today, Chief Bryan Schulz along with President Steve Lancaster proudly represented the Jarrettsville Volunteer Fire Company at the Annual Exelon Employee Volunteer Luncheon. 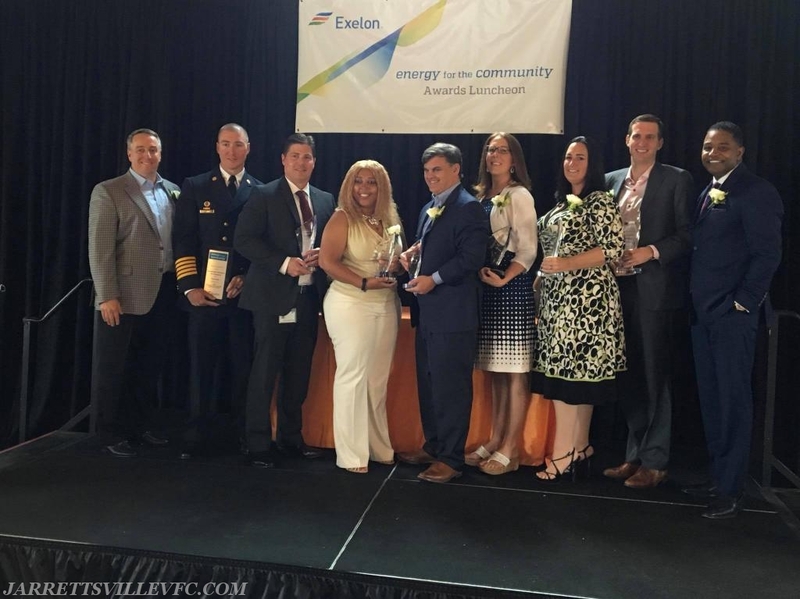 Firefighter Travis East who also works for MyBGE was recognized as a winner of the “Energy for the Community“ Award. During the luncheon, Chief Schulz accepted an award on behalf of Travis East. Thank you to Exelon for supporting local departments!